Pete’s New Haven Style Apizza | Gluten Free D.C.
Gluten-free friendliness: The fact that a pizza place has a gluten-free option is friendly-enough for me. If you’re hungry for something beyond cheesy-deliciousness, the menu has multiple salads and gluten-free pasta dishes. Pete’s offers gluten-free corn pasta, Rustichella d’Abruzzo, in fusilli and spaghetti. 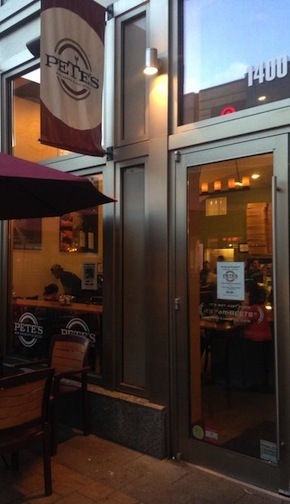 Overall vibe: Pete’s attempts to combine casual dining with a high-end culinary experience. 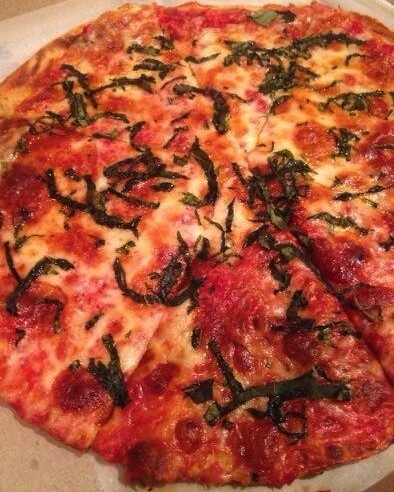 It’s hard to judge the restaurant’s success in recreating the distinct style of New Haven pizza solely based on the gluten-free pizza. Skip eating in the restaurant, which lacks the same authentic feel that exists in any of the restaurants in New Haven’s Little Italy, and take the meal to go (or have it delivered). This entry was posted in Chain, Clarendon, Columbia Heights, Friendship Heights, Silver Spring and tagged Dinner, GlutenFreeDC, GlutenFreeFoods, GlutenFreeRestaurants, Lunch, Pizza, WashingtonDC. Bookmark the permalink.